The two members of the Romanian / German Black Metal band The Wake known as XII (Guitars, Bass, Programming) and V (Vocals, Lyrics) will be featured on the upcoming comeback album of German Melodic Death Metal stalwarts Night in Gales, The Last Sunsets, XII as full-member and V as guest. 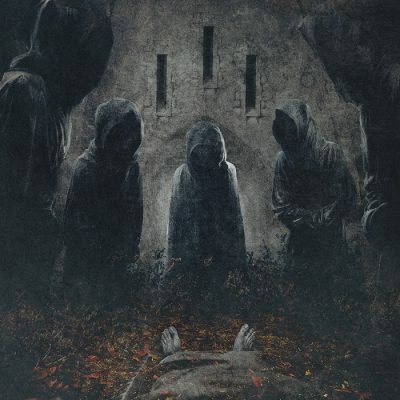 The Wake has recently released its debut full length album, Earth’s Necropolis, via Loud Rage Music, and the reactions have been overwhelming from both public and press, with German Legacy Magazine rating it 13 out of 15 points and awarding it among the tips of the issue. The Wake plays black metal having Dissection, Venom and Bathory as main inspiration, but their style reminds of some of the biggest Scandinavian names (Immortal, Darkthrone, Dark Funeral) and shows also a powerful melancholic side, which resembles the British premiere league of dark and depressive music (old Anathema, My Dying Bride, Cradle Of Filth).